Flowers have been part of our diet for thousands of years. Flowers have formed part of our diet for thousands of years. Chinese cooks were experimenting with edible flowers as far back at 3,000 B.C.E. and the Romans used violets and roses in their food as well as lavender in sauces. The practice is still going strong today, with many restaurants using petals to add a unique flavour and appearance. But it’s not just restaurant chefs who can use flowers in cooking. 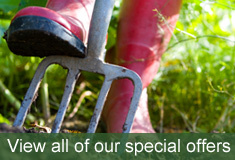 You’d be surprised at how many edible varieties you can find in your own garden. Here are some of the most popular edible blooms, and ideas for how to use them. If you can't eat them right away, store edible flowers in the fridge. Edible flowers are always best when picked fresh from the garden. They’ll taste even better if you can pick them early in the morning before they’ve had too much sun. But if that’s not possible, don’t worry. Put them straight in the fridge (in a plastic container) and try to use them within a few days. Wash and dry them gently by dipping them in a bowl of water and gently shaking. This should also help remove any bugs or bees that might have stowed away within the petals. Speaking of the petals – these are the best parts of many edible flowers. So remove the heel at the base of the petal (it’s bitter), as well as the stamens, pistil and calyx of larger flowers. Some, like pansies, however, you can eat whole. Some flowers shouldn't be eaten. If you’re in any doubt as to whether or not a flower is edible – don’t eat it. It’s a simple rule of thumb, but effective. Also, if you have pollen allergies, you might want to avoid eating edible flowers altogether. • Don't pick faded, dusty, old or discoloured flowers in your garden (or when foraging) that are near a road or an area that animals use. • Don't treat your edible flowers with pesticides. Instead, if you have problems with pests, cut the flower back and encourage regrowth instead. So, with that in mind, here are a few edible flowers you might already grow or choose to plant in your own backyard, plus a few to be sure to avoid! Colourful and peppery in taste, Hibiscus is a popular edible flower. Cornflower – A sweet-to-spicy clove-like flavour. Dahlia – Flavours range from water chestnut and spicy apple to carrot. 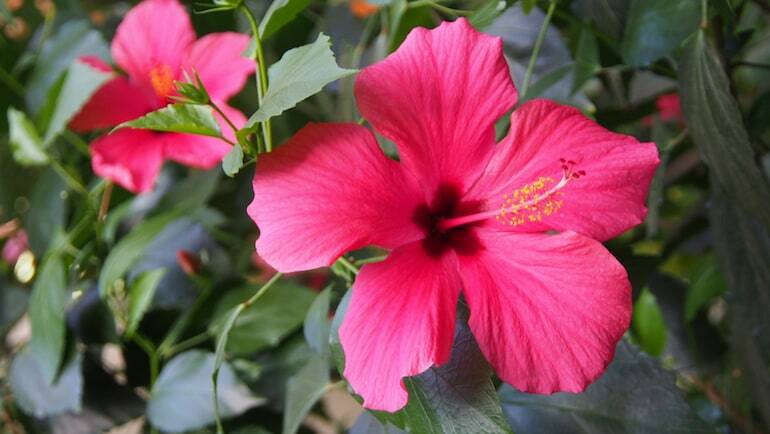 Hibiscus – Great addition to fruit salads or to make a citrus-flavoured tea. Honeysuckle – Enjoy the nectar fresh, or use petals make a syrup, pudding, or a tea. Magnolia – The young flowers can be pickled or used fresh in salads. Nasturtium – Tasting peppery, like watercress, these make a lovely salad addition. 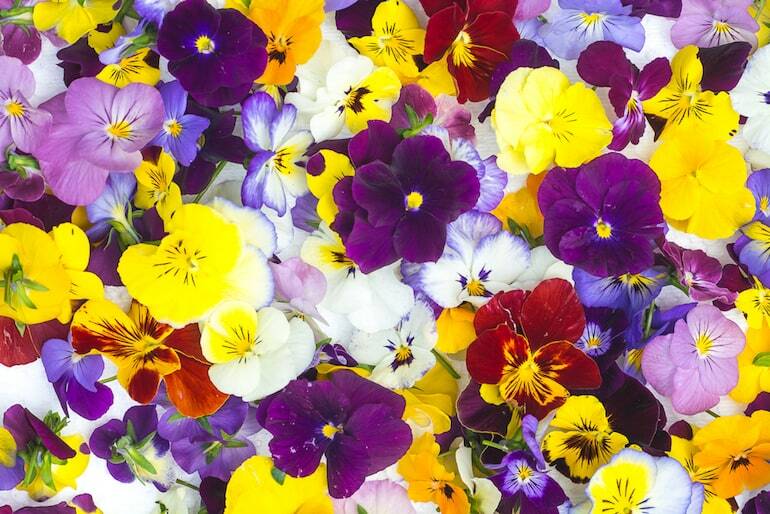 Pansy – Mild and fresh-tasting, they’re great in a green salad or as a garnish. Rose – Lovely in drinks, fruit dishes, jams, and jellies thanks to its delicate fragrance. Scented Geraniums– The flavours range from citrussy to a hint of nutmeg. Cape Jasmine – Extremely fragrant, they’re ideal for pickling, preserving, and baking. The buds, petals and seeds of the sunflower are all edible - the petals taste a little nutty. Forget-me-not– Delicious as a trail snack on its own or as a garnish. 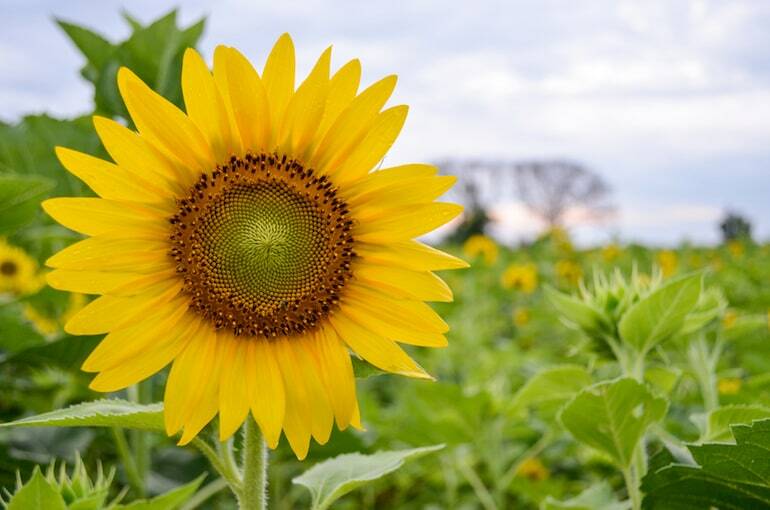 Sunflower– The mild nutty taste makes the petals good in salads or stir fries. Hollyhock – Remove the centre stamen (e.g. pollen) before eating. Lilac – Enjoy mixed with cream cheese or yogurt as a dip or spread. Camellia – Used fresh as garnishes or dried and then used in Asian cuisine. Fuchsia – Enhance the flavour by removing all green and brown bits and the stamen. Freesia – Great infused in a tisane with lemon juice and zest. Gladiolus – Mild in taste (similar to lettuce), they’re good in sweet or savoury dishes. Peony – The petals taste lovely fresh in salads, or lightly cooked and sweetened. Alpine pinks – Tasting of clove, they’re good in flavoured sugars, oils and vinegars. 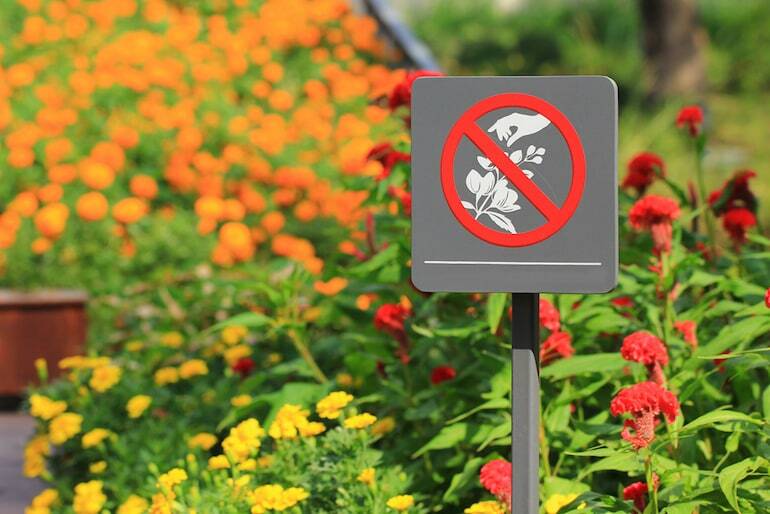 Look but don't touch - the Oleander is a beautiful, but poisonous plant. Daffodil – Eating any part of a daffodil will cause distress due to the toxin, lycorine. 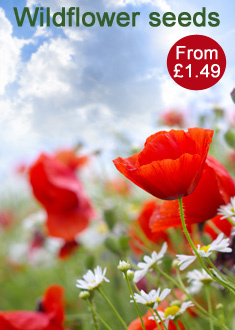 Poppy – Give these a wide berth as all poppies are poisonous. Foxglove – These contain naturally-occurring poisons that affect the heart. 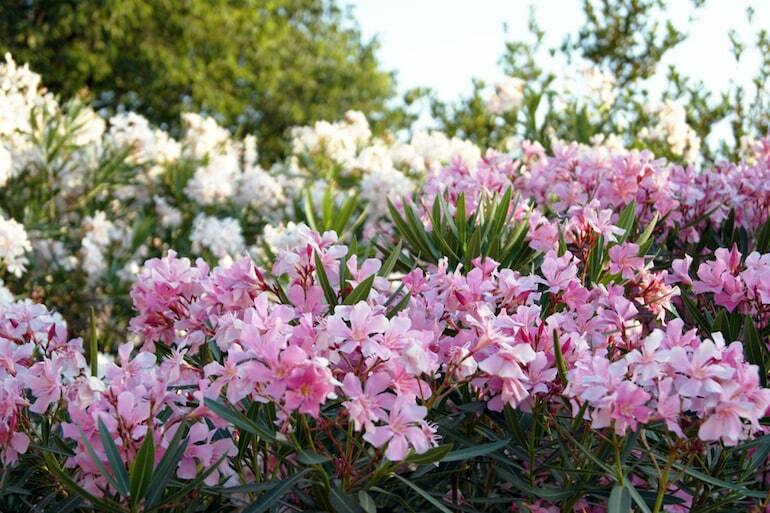 Oleander – The whole plant is highly-toxic – one of the most toxic garden plants in fact. Clematis – Mild, but toxic, contact with clematis (mouth or skin) can cause irritation. Bluebell – All parts of the bluebell contains toxic glycosides. Rhododendron – Its toxins can impact heart rhythm and blood pressure. Larkspur – Its toxic alkaloids are fast-acting and potentially life-threatening. Hydrangea – The small amount of cyanide in Hydrangeas make them dangerous. Lily-of-the-Valley – Pretty, but they contain convallatoxin, which should not be ingested. What kind of edible flowers are in your garden? 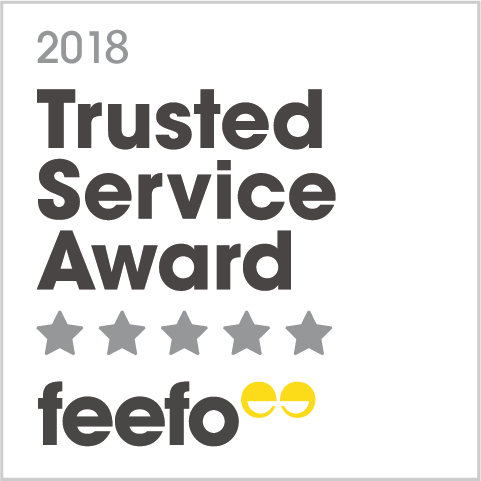 Do you have any ways of using them that you’d recommend? Tell us on our Facebook page. In the meantime, below is a list of edible flowers that Thompson & Morgan have researched for you! Individuals consuming the flowers, plants, or derivatives listed here do so entirely at their own risk. Thompson & Morgan always recommends following good hygiene practices, and cannot be held responsible for any adverse reaction to the flowers. In case of doubt please consult your doctor. Achillea millefolium The leaves of the yarrow can be used cooked or raw. They have a bitter flavour but are good in mixed salads and best used when young. They may also be used as a preservative or flavouring for beer. The flowers and leaves can be made into an aromatic tea. Agastache Agastache anisata, Agastache foeniculum Both flowers and leaves have a delicate, fragrant taste. They are ideal for adding to cakes for a hint of anise flavour, or add the leaves and flowers to whipping cream for a creamy, liquorice flavour. If you are pregnant, be sure to research possible contraindications to using this herb. Albizia julibrissin A tea can be made from the leaves and flowers, they can also be steamed and eaten as vegetables, the blooms can be crystallised too. Caution - DO NOT EAT THE SEEDS, they are poisonous. Alyssum Lobularia maritima The leaves and flowers of sweet alyssum have a pungent flavour, similar to kale. Try adding them to salads, cold soups or even omelettes. Antirhinnum These pretty flowers can be used as garnishes or dressings but can have a bland or sometimes bitter taste. Apple/ Crab Apple Malus domestica, Malus x robusta, Malus x zumi Apple blossoms have a slightly floral taste and the petals are lovely in salads. Infuse petals in whipped cream or ice cream to go over an apple tart. Blossoms look attractive when floated in a fruit punch. Basil Ocimum basilicum, Ocimum minimum, Ocimum x citriodorum Flowers can be used as a substitute for leaves in any dish requiring basil. The flowers should be used more sparingly due to their very intense flavour. Delicious added to salads, soups or pasta. Begonia Begonia x tuberhybrida The brightly coloured flowers have a delicious light, lemon taste and a crisp texture. Use snipped petals as a garnish in salads and sandwiches or dip whole petals in flavoured yogurt and serve as an appetizer. Only tuberous begonia petals are edible. The petals contain oxalic acid and therefore should only be eaten in moderation and should not be consumed by individuals suffering from gout, kidney stones or rheumatism. Biennial Clary Salvia sclarea Flowers have a very aromatic flavour and being pastel shades, make a lovely contrast when added to salads. Borage Borago officinalis Mix flowers into vegetable and fruit salads, or use to garnish soups or to decorate desserts. An excellent choice for freezing in ice cubes and floating on iced tea. Petals have a cucumber taste and the stamens add a hint of sweetness. Pregnant and lactating women should avoid borage flowers, as more than eight to ten flowers can cause milk to flow. They can also have a diuretic effect, so should not be eaten in great quantity. Busy Lizzie Impatiens walleriana The flowers come in many colours and look attractive used as a garnish in salads or floated in cold drinks. Butterfly Pea Clitoria ternatea In Burma, the flowers of the blue variety are dipped in batter and fried. They also make good garnishes for salads. A syrupy sherbet drink can also be made from the blue flowers and a tea or tisane which is a rich blue colour. Cape Jasmine Gardenia jasminoides These extremely fragrant blooms can be used to make pickles, preserves and jams, or shredded and added as flavouring to cakes. Dianthus/ Carnation/ Pinks Dianthus amurensis, Dianthus barbatus, Dianthus caryophyllus, Dianthus chinensis, Dianthus deltoides, Dianthus plumarius, Dianthus superbus Most dianthus have a pleasant spicy, floral, clove-like taste, especially the more fragrant varieties, and are ideal for decorating or adding to cakes. They'll also make a colourful garnish to soups, salads and the punch bowl. The petals of Sweet Williams will add zest to ice cream, sorbets, salads, fruit salad, dessert sauces, seafood and stir-fries. It is advisable to remove the white heel at the base of the petal as this has a bitter taste. Californian Poppy Eschscholtzia Fresh or dried leaves can be used to make a herbal tea which is known to be soothing and relaxing. Camellia The flowers can be used as garnishes but are also dried and then cooked in asian cuisine. Candytuft Iberis Both the leaves and flowers of candytuft can be eaten raw and have a taste similar to that of a sweet broccoli. Canna Canna lily rhizomes can be eaten raw and have a taste similar to water chestnut, although sometimes bitter. They can also be boiled and baked, the same as a potato and have a similar texture and taste. Cercis Canadensis The flowers have a significantly higher viatamin content than most common fruits and vegetables, including oranges. The fresh buds have a not unpleasant sour bite and can also be pickled for later use with spring greens for example. Chives/ Chinese Chives Allium schoenoprasum, Allium tuberosum, Chive flowers have a mild onion flavour and are surprisingly crunchy. They are widely used tossed in salads, pasta, omelettes and scrambled eggs. Or you can add a few to white fish dishes or to cheese sauce to give that extra bite. As tempting it may be to pop the whole flower into your mouth, refrain from doing so as the pungency in that quantity can be overwhelming. For garnish and cooking break the flower into individual florets . Citrus Trees Citrus aurantium, Citrus limon, Citrus x latifolia Citrus flowers are overwhelming in scent and flavour and go really well with many different foods from stir-fries to puddings. They are also ideal for crystallising and decorating cakes or desserts. Clary Sage Salvia sclarea A very aromatic flavour that is ideal for adding to salads for a cheerful coloured contrast. Cornflower Centaurea cyanus These attractive flowers have no fragrance but do have a sweet-to-spicy clove-like flavour. They are ideal for mixing with other flowers to make attractive confetti for sprinkling over salads, omelettes, and pasta dishes. Or they can be used on their own as a colourful garnish. Cosmos sulphureus The blooms will add zest to your meal by adding bright splashes of colour, while the young leaves can be added to salads or eaten straight. Please note, only cosmos sulphureus are edible. Courgette Cucurbita pepo All squash flowers have a slightly sweet 'nectar' taste. These can be stuffed with cheeses and other fillings, battered and deep fried or sautÃ©ed and added to pasta. Thinly sliced blossoms can be added to soups, omelettes, scrambled egg or used to add colour to salads. Crocosmia A yellow dye is obtained from the flowers and then used as a saffron substitute for colouring foods. Cyclamen persicum The leaves of this plant are used in mediterranian and eastern cuisine, often filled with rice and meat in a similar way the Greek dolmades. Please note, only the leaves of cyclamen persicum can be eaten, the roots of all cyclamen are harmful if eaten. Dahlia All dahlia flowers and tubers are edible. The flavours and textures can vary greatly depending on the soil and conditions in which they were grown. Flavours range from water chestnut through to a spicy apple or even carrot. Daisy Bellis perennis Pull flowers apart for a mass of small quill petals ideal for creating a colourful garnish on desserts or soups, in salads or with savoury dishes. Also make useful decorations for cakes, biscuits, mousses and pÃ¢tÃ©s. If you have hay fever, asthma or severe allergies, you should avoid eating flowers of the daisy family because they could trigger an allergic reaction. Daylily Hemerocallis Day lily petals are great in salads, hot and cold soups, cooked and served as a vegetable or chopped and added to stir-fries. Try sautÃ©ing the buds or flowers, which can then be stuffed with almost any filling. Only hemerocallis, the 'Day Lily' can be eaten. Do not eat other types of lilies (Lillium) as they are poisonous. Dill Anethum graveolens Add flowers to fish dishes, omelettes or sprinkle over cooked vegetables. Add whole flowers to pickled gherkins, cucumbers or beetroots for a milder flavour than dill seed. Elderberry Sambucus nigra The flowerheads are commonly used in infusions, making a very common drink and can be made into a syrup or cordial. They can also be dipped into a light batter and then fried to make elderflower fritters. Both flowers and berries can be made into elderberry wine. Evening Primrose, Ozark Sundrops Oenothera macrocarpa, Oenothera odorata, Oenothera versicolor, Oenothera speciosa, Oenothera missouriensis The flowers have a similar taste to lettuce, so will make a fine addition to any green salad whilst also adding some colour. Feijoa sellowiana The flower petals have a flavour often described as being similar to that of candyfloss. The petals are ideal added to a fruit salad, smoothie, milkshake or an iced drink. The fruits can also be used in chutneys and tropical fruit salads. Fennel Foeniculum vulgare The mild anise/liquorice flavour combines well with fish, meat and vegetable dishes. Delicious added to cucumber or potato soup. Make fennel flower oil and use to baste pork chops on a barbecue. Filipendula ulmaria The sweetly scented flowers can be eaten in salads or added to homemade wine. Forsythia The blossoms are edible raw, though they can be slightly bitter. The will add colour to salads and are a cheery garnish. Fuchsia The stunning colours and graceful shape of fuchsias make them ideal as a green or fruit salad garnish. They look very decorative if crystallised or inserted into jelly. The berries are also edible and useful for making jams. Before eating the flower remove all green and brown bits and gently remove the stamen pistils as this will certainly enhance the petal flavour. Freesia Infused in a tisane with lemon juice and zest. The peppery scent and bold colour are a perfect pick-me up. Garland Chrysanthemum Chrysanthemum coronarium Petals are best quickly and lightly fried in vegetable oil before adding to soups, salads and stir-fries. Use the strongly spicy flavoured flowers sparingly in salads or when making Japanese Chrysanthemum soup. Only chrysanthemum coronarium should be eaten; it is not advisable to eat other types of chrysanthemum. Gladiolus Flowers taste similar to lettuce, and make a lovely receptacle for sweet or savoury spreads or mousses. You could also toss individual petals in salads for colour. It is best to must remove the anthers, take the middle of the blossom out before eating/ using. Gypsophila Baby's Breath (Gypsophila sp.) has white or pink flowers that have a mild, slightly sweet flavour, perfect for dessert garnishes. Heuchera The leaves can be tossed in with other greens for a mixed salad, typically to bitter to eat on their own they will add a tangy kick to an otherwise bland salad. Hibiscus Infuse the flowers to make a popular, mildly citrus-flavoured tea. Add strips of vibrant coloured petals to fruit salads. It is best to use the petals from the flower heads. If you use them whole, beware of the pollen. Hollyhock Alcea rosea The flowers can be crystallised and used to decorate cakes, mousses and roulades or try mixing them with salad leaves for a stunning dish. Flowers can also be used to make a subtly flavoured syrup to add to various puddings. Before eating , remove the centre stamen and any green bits. Honeysuckle Lonicera The parboiled leaves are used as a vegetable and the flowers can be sucked for their sweet nectar, used as a vegetable or made into a syrup and pudding. A tea can also be made from the leaves, buds and flowers. Hosta The best part to use is the 'hoston', the rolled up leaf as it emerges in the spring. Cooking sepends on the size of the hostons, small ones can be fried for a few minutes, going well in stir fries. Thicker ones are better boiled and used as a vegetable. Houttuynia The leaves have an orange like smell and make a marvellous flavouring in alads. Hyssop Hyssopus officinalis Ideal for adding to soups or salads, or can be infused to make a refreshing tea. Hyssop also makes a perfect complement to fish and meat dishes. Japanese Basil Perilla frutescens The whole flower can be eaten, adding a spicy flavour to stir-fries, chicken or fish dishes. Jasmine Jasminum officinale The flowers are intensely fragrant and are traditionally used for scenting tea, but can also be added to shellfish dishes. Only jasmine officinale is edible. The false Jasmine (Gelsemium sempervirens) is a completely different genus and is considered too poisonous for human consumption. Lavender Lavandula multifida, Lavandula stoechas, Lavandula angustifolia There are many ways to use lavender flowers, both in sweet or savoury dishes. Make a delicious lavender sugar and add to biscuits, sorbets, jams or jellies. Add flowers to vegetable stock and create a tasty sauce for duck, chicken or lamb dishes. Lavender oil may be poisonous. No more than two undiluted drops should be taken internally. Lemon Balm Melissa officinalis The flowers are small, so are ideal for adding to salad dressings or soups. They can also be added to stuffing for poultry dishes too. Lilac Syringa vulgaris Mix fresh fragrant flowers with a little cream cheese and serve on crackers or stir flowers into yogurt to add a hint of lemon. Also useful as a garnish for cakes, scones or sweets. Magnolia The young flowers, once separated can be pickled and then used either on their own as a treat or in salads. Mahonia The ripe fruits are too acidic to eat raw but can be stewed with sugar or other fruits and made into jelly or pies. They are used to help the milder flavour of some fruits or to make a lemonade like drink. Young leaves are simmered in water and eaten as a snack. Marigold Tagetes patula, Tagetes tenuifolia, Tagetes patula x erecta The flowers and leaves have a citrus taste, making them ideal for adding to salads, sandwiches, seafood dishes or hot desserts. Marigolds may be harmful in large amounts. They should only be eaten occasionally and in moderation. Marrow Cucurbita pepo All squash flowers have a slightly sweet nectar taste . These can be stuffed with cheeses and other fillings , battered and deep fried or sauteed and added to pasta . Thinly sliced blossoms can be added to soups, omelets, scrambled egg or add colour to salads. Mesembryanthemum Leaves can be eaten raw, mainly being used as a spinach substitute. Mimulus The leaves of the monkeyflower cn be eaten raw or cooked. The have a slightly bitter flavour and are mostly added to salads. The leaves can also be used as a lettuce substitute. Mint/ Pennyroyal Mint Mentha x piperita, Mentha pulegium, Mentha suaveolens, Mentha x gracilis, Mentha spicata These tiny flowers pack a real punch and add that something extra to green salads, fruit salads, fresh strawberries, chocolate mousse or chocolate cake. Can also be used to decorate and flavour lamb dishes. Monarda/ Bergamot Monarda citriodora subsp. Astromontana, Monarda didyma As well as being colourful, the petals have a sweet, spicy flavour and will enhance salads, jellies and stuffings, rice and pasta dishes. Fresh or dried leaves can be used to make delicious bergamot tea. Before using the flowers, only give them a minimal rinse with water so as not to diminish the fragrance. Mooli Radish Raphanus sativus The radish flowers flavour is a milder version of the spicy root, making it ideal to add colour to the top of a salad or sprinkle over cooked vegetables to add a little spice. Muscari The flowers can be sprinkled over desserts to add a delicate scented flavour. Nasturtium Tropaeolum majus, Tropaeolum minus The fresh leaves and flowers have a peppery flavour similar to watercress. The flowers will add a spicy touch to salads and the green seeds can be chopped and used with parsley as a garnish or made into capers. Try them combined with cream cheese or butter in canapÃ©s, or in a cheese and tomato sandwich. Flowers can also be used to garnish steaks or casseroles. Nigella The seeds have a strong aroma and spicy taste, they can be used as a condiment or spice to flavour cakes, breads and curries. Onion (Welsh/ Spring) Allium fistulosum Onion flowers offer an onion flavour, without the bite of an onion bulb. These are ideal for tossing in a salad or for mixing in with vegetables. Oregano Origanum vulgare Wonderful added to tomato dishes, pizza and when making your own bread. Flowers can also be added to butter for flavour. Ornamental Kale Brassica oleracea (Acephala Group) The leaves can be picked while still young and will make a tasty and colourful addition to salads. Osteospermum The bright coloured flowers can be used as a garnish or in ice cubes to add an extra dimension to summer drinks. Pansy Viola x wittrockiana Flowers have a lettuce-like flavour and make a decorative addition to a green salad or to garnish a pÃ¢tÃ© or dessert. They can be crystallised and used to decorate cakes, cookies or creamy desserts. Passion Flower The fruits of passiflora are edible, albeit somewhat unremarkable in taste. They can be used in preserves and desserts. P. edulis, grown under glass will produce the best fruit for eating. Pea Pisum sativum Flowers are slightly sweet and, surprisingly enough, taste like young peas. Delicious added to salads. Use candied flowers to decorate fish dishes or cakes. The shoots and vine tendrils are also edible and have the same delicate, pea-like flavour. Only vegetable pea flowers can be eaten, not sweet pea flowers which are toxic. Peony The petals can be added to salads, or cooked slightly and sweetened for a treat. Peony water once also once considered a delicay and the blooms can be floated in punches. Perennial Phlox Phlox paniculata These flowers have a slightly spicy taste. Great added to fruit salads and a colourful addition to any floral salad. As the flowers are small and colourful they are superb when crystallised and added as decoration to cakes or desserts. It is only this perennial phlox, not the annual, or the low-growing (creeping) phlox that is edible. Polianthes tuberosa The flowers can be eaten cooked and are often added to soups or used to flavour soy sauces in oriental cuisine. Polyanthus, Cowslip, Primrose, Primula Primula vulgaris, Primula veris, Primula hybrida Popular as a garnish on salads. Remove the stalks so they sit open-faced on top of lettuce, cress etc. Crystallise or use in pancakes or cakes. Sprinkle fresh polyanthus blossoms in salads, adding a touch of colour and a sweet taste. Flowers can be crystallised and used as decorations, making them ideal for special cakes and desserts, for example on Mothering Sunday or at Easter. Poppy Papaver somniferum, Papaver paeoniflorum All poppies are poisonous, however the seeds that are produced from these species of poppy can be eaten. All poppies are poisonous. However the seeds produced from Papaver somniferum and Papaver paeoniflorum can be eaten. The seeds of other species are not edible. Pot Marigold Calendula officinalis Calendulas have a slightly peppery taste and will add a light, tangy flavour to breads and soups, as well as adding a touch of colour. They will make a bright and tasty addition to a tossed salad. You can use fresh or dried petals as an economical substitute for saffron for adding colour to rice or butter. The fresh young leaves can also be used sparingly in salads. Prunella The young leaves and stems can be eaten raw in salads, the plant in whole can be boiled and eaten as a potherb. Pulmonaria The leaves can be eaten raw or cooked andded to salads, or used as a potherb. The plant is an ingredient of the drink Vermouth. Pumpkin Cucurbita maxima, Cucurbita pepo All squash flowers have a slightly sweet nectar taste . These can be stuffed with cheeses and other fillings , battered and deep fried or sauteed and added to pasta . Thinly sliced blossoms can be added to soups, omelets, scrambled egg or add colour to salads. Living Greens/ Microgreens/ Purple Radish Raphanus sativus The flavour of radish flowers is a milder version of the spicy root, making it ideal to add colour to the top of a salad or sprinkle over cooked vegetables to add a little spice. Robinia The flowers have a pleasantly fragrant aroma and can be used in jams or desserts such as pancakes. They can also be infused into a drink. Rocket Eruca vesicaria, Diplotaxis muralis, Eruca vesicaria subsp. sativa The flowers and the leaves have a spicy, peppery flavour, and are delicious added to a salad, rice or sprinkled over cooked French beans. Add whole flowers to taramasalata and serve with brown toast. Rose Rosa As a general rule if a rose smells good, it will taste good. Petals have a delicate flavour which will improve cool drinks and fruit dishes, or why not try rose petal jam? Rosehips and petals can both be used in jellies. If the flowers are crystallised, they will make attractive cake decorations. It is best to remove the white heel from the base of the petals before eating. Rosemary Rosmarinus officinalis Rosemary flowers and leaves can be used with poultry or pork - try adding a few flowers to biscuit dough to add flavour. Runner Bean Phaseolus coccineus Flowers can be eaten raw in salads, adding a mild bean flavour with a hint of nectar, or add to cooked runner bean dishes for decoration. Only scarlet-flowered runner beans are recommended for eating. Sage Salvia officinalis The flowers taste similar to the leaves and make a vibrant contribution to salads and pÃ¢tÃ©s, mustards and vinaigrettes. Salsify Tragopogon porrifolius Usually grown for its nutty flavoured roots, but the young leaves are tasty in salads adding a mild nutty flavour. The flower buds should be picked just before they open with about three inches of stem attached. They can be lightly simmered and then eaten when cold in salads or as a garnish. Santolina The fragrant leaves can be used as a condiment to flavour soups and broths. Scented pelargoniums Geranium clorinda, Geranium fragrans, Geranium graveolens, Geranium quercifolia, Geranium tomentosum The leaves have a powerful citrus fragrance and will add flavour to cakes and meringue roulades. The flowers have a faint citrus flavour similar to the leaves and are ideal crystallised and scattered on desserts. Squash Cucurbita moschata, Cucurbita pepo, Cucurbita maxima All squash flowers have a slightly sweet nectar taste . These can be stuffed with cheeses and other fillings , battered and deep fried or sauteed and added to pasta . Thinly sliced blossoms can be added to soups, omelets, scrambled egg or add colour to salads. Stocks Flowers are usually added to saladsraw or a garnish to desserts, they can also be candied. Their flavour is perfumed. Strawberry Fragaria x ananassa, Fragaria vesca The flowers retain their strawberry fragrance as well as a milder strawberry flavour. Float petals in drinks, add to salads or candy them and add to desserts for decoration. Sunflower Helianthus annuus The buds, petals and seeds are all edible. Add the petals to a green salad for a colour contrast and a mild nutty taste. The green buds can be blanched, then tossed in garlic butter; they are similar in flavour to a Jerusalem artichoke. The kernels inside the seeds can be eaten raw or toasted as a snack. Sweet Cicely Myrrhis odorata The sweet anise-flavoured flowers are lovely added to apple, plum or rhubarb tarts. Sweet Mace Tagetes lucida Use the flowers of this attractive plant in salads and its leaves in soups and stews much like French tarragon. Sweet Marjoram Origanum majorana Combines well with all chicken dishes and many fish recipes. Can also be made into a flavoursome hot tea. Sweet Rocket Hesperis matronalis This combines well with all chicken dishes and many fish recipes. Can also be made into a flavoursome hot tea. Tulip Tulipa Tulip petals have a sweet, pea-like flavour and a tender crisp texture. Try stuffing whole flowers with a shrimp or chicken salad. 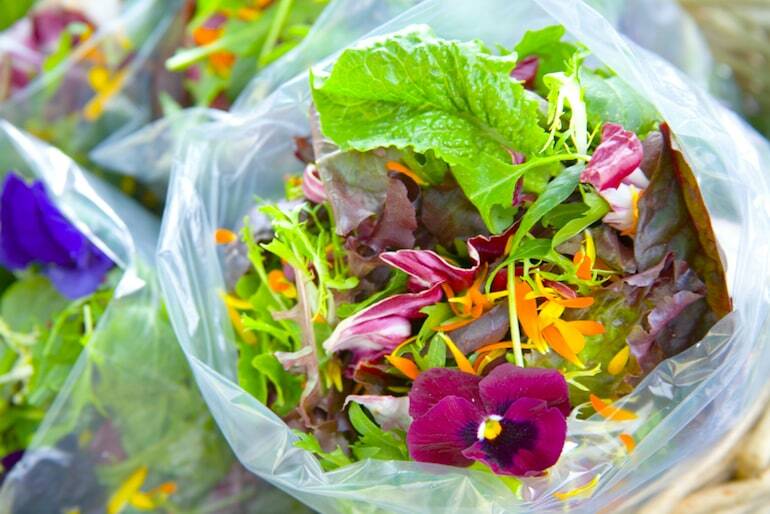 Add strips of petals to salads or sandwiches for that added touch of colour. Carefully remove pollen and stigmas from the base of the flower before stuffing. Some people have had strong allergic reactions to tulips. If touching them causes a rash, numbness etc. - Don't eat them! Don't EVER eat the bulbs. If you have any doubts, don't eat the flower. Wallflower Erysimum The tender young shoots can be cooked and eaten as a vegetable. Viola Viola cornuta, Viola hybrida, Viola tricolor, Viola x williamsiana, Viola odorata Flowers have a lettuce-like flavour and make a decorative addition to a green salad or to garnish a pÃ¢tÃ© or dessert. They can be crystallised and used on cakes, cookies or creamy desserts. Water Lily Nymphea The young leaves and unopened flower buds can be boiled and served as a vegetable. The seeds, high in starch and protein can be popped, parched or ground into flour. Yucca The white yucca flower petals have a crunchy, mildly sweet taste with a hint of artichoke flavour. Delicious added to salads or used as a garnish. Disclaimer: Thompson & Morgan has researched all the aforementioned edible flowers. However, individuals consuming the flowers, plants, or derivatives listed here do so entirely at their own risk. Thompson & Morgan always recommends following good hygiene practices. Thompson & Morgan cannot be held responsible for any adverse reaction to the flowers. In case of doubt please consult your doctor.